Richard Sells graduated from Washington University in St. Louis, Mo., in 1961. He served in the U.S. Army, Armor Corps from 1962 until 1969, attaining the rank of Captain, USAR. Sells qualified as a Certified Public Accountant in California, and worked for Arthur Anderson & Co. He also worked for thirty-three years as an executive in the Cemetery Industry. 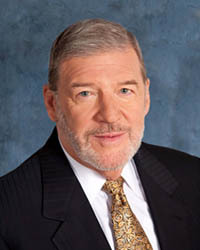 He retired from Service Corporation International (SCI), the world’s largest owner of funeral homes and cemeteries, having served as a Senior Vice President for Domestic and International sales, and President of SCI’s Western States operations. Sells devised and constructed the traveling replica Vietnam Memorial Wall and introduced the Homeless Veterans Burial program for San Diego County. He also served as President of the 6,000-member International Cemetery and Funeral Association trade association.